Doctors are constantly looking for ways to predict who is going to get Alzheimer's. The reason is that so far we don't have any therapy that can reverse the damage once it's taken place. But there are several ways that Alzheimer's can be prevented and slowed down. Therefore, the earlier we can start these therapies, the better. So what if I told you that a brand new study indicates that a decrease in your ability to detect odors could be an early indicator that you are on the way to Alzheimer's? Researchers looked at 215 healthy men and women with no obvious clinical signs of decreased cognitive function. In other words, they seemed completely normal. All of them were enrolled in the Harvard Aging Brain Study. First the researchers measured their ability to detect 40 different odors using the University of Pennsylvania Smell Identification Test. Next, using MRI scanning, they measured the volume of two areas in the brain (the hippocampus and the entorhinal cortex) that are affected by Alzheimer's disease. Then they performed a series of tests to see how good the participants' working memory was. And finally, the researchers used PET scans to determine how much amyloid deposits the volunteers had in their brains. Amyloid deposits are increased in patients with Alzheimer's. Pardon the pun, but the results stink. 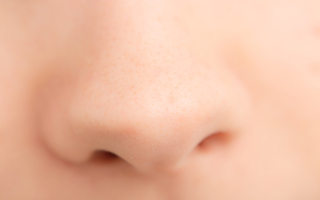 According to the words of the authors of the study, "In clinically normal elderly patients, worse odor identification was associated with markers of neurodegeneration. Furthermore, individuals with elevated cortical amyloid and thinner entorhinal cortex exhibited worse odor identification, elucidating the potential contribution of olfactory testing to detect preclinical Alzheimer's disease in clinically normal individuals." In other words, a decreasing ability to be able to detect smells is an indicator that you may be on the way to Alzheimer's. Now this certainly doesn't mean that if your smeller is bad, you're going to get Alzheimer's. There are a number of other causes of decreased odor detection that have nothing to do with Alzheimer's. However, the study results are still very important. The researchers were clearly able to show a connection between getting the amyloid deposits that cause Alzheimer's and decreased odor detection. So if you're like my wife, who can smell something a mile away, that's pretty good evidence that you're not at risk. On the other hand, if you have a problem smelling odors and there's no other diagnosed reason for it, it might be good to have your working memory tested just to be safe. You can arrange that testing with a neurologist. Growdon ME, Schultz AP, Dagley AS et al. Odor identification and Alzheimer disease biomarkers in clinically normal elderly. Neurology. 2015 May 1.